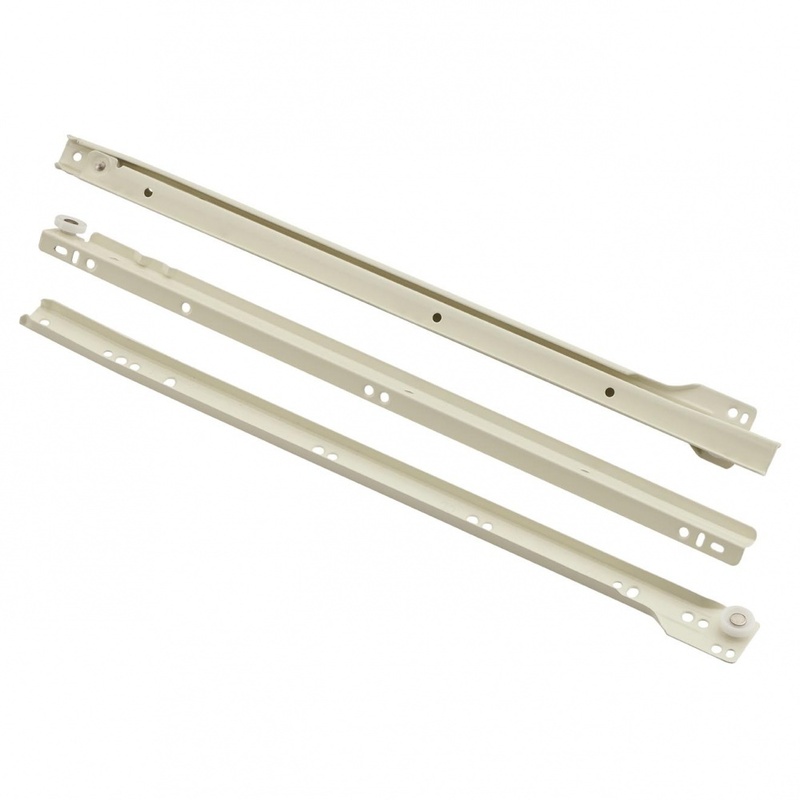 This metal Roller Slider/Runner Set is ideal for drawer units in Divan beds. The set is a complete kit for 1 drawer and consists of 2 x left hand pieces and 2 x right hand pieces. The design incorporates a sliding end lock that stops the drawer unit from falling out when in use.